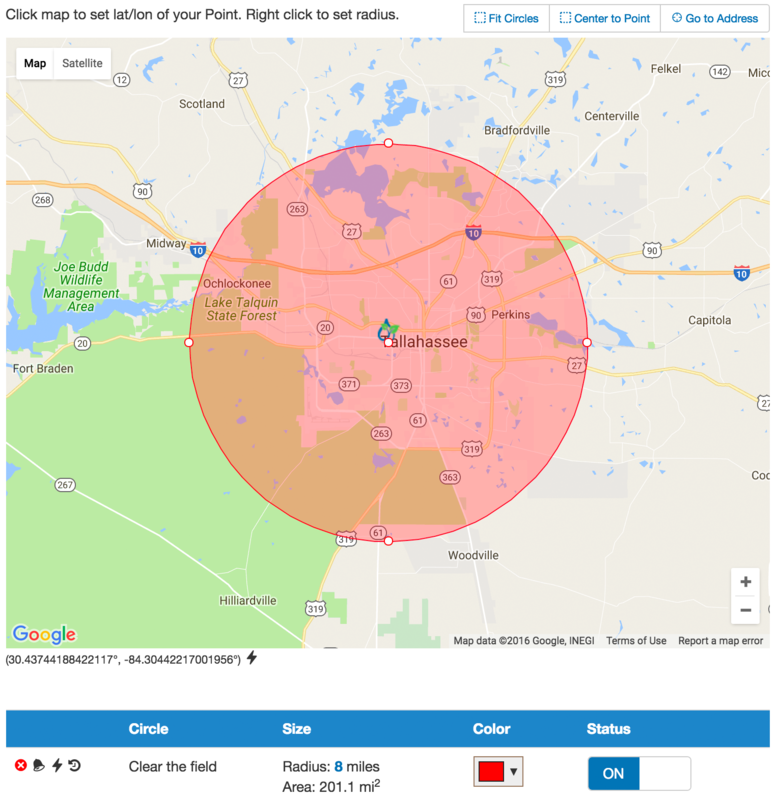 WeatherSTEM has developed a groundbreaking way to keep you and your stakeholders safe when dangerous lightning is nearby. The best part of the PLA is it is 100% CLOUD-BASED - there is no equipment. It is 100% web/mobile. 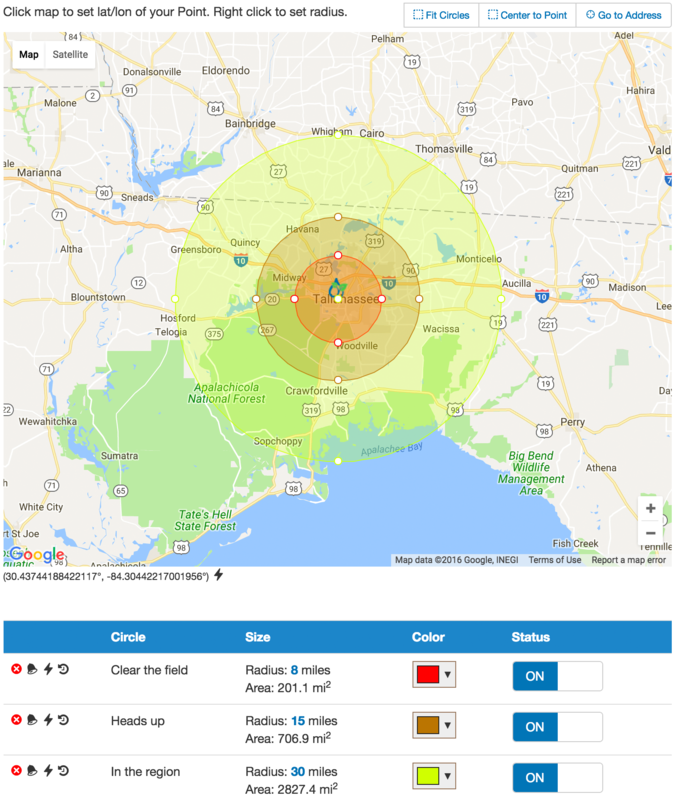 Through a partnership with TOA Systems, WeatherSTEM has access to real-time lightning data from high quality lightning sensors positioned all across North America. 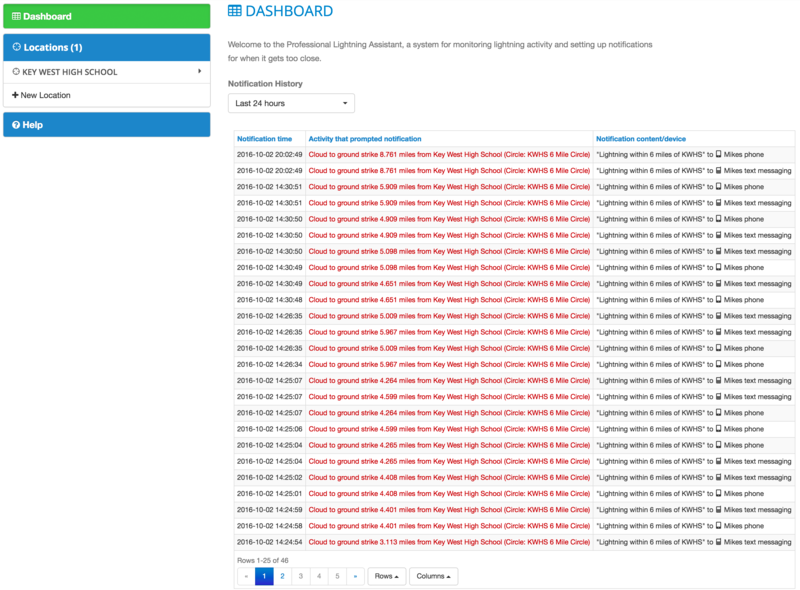 This data is constantly fed into the PLA and allows you to create your own lightning notification rules without needing any complicated or expensive hardware. The PLA is 100% cloud-based. An average lightning strike contains 15 million volts of electricity and will instantly heat up the air around it to over 50,000°F, which is five times hotter than the surface of the sun! About 100 lightning bolts strike the earth's surface every second which translates to around 8 million strikes per day and over 3 billion each year! Lightning has been known to strike over 10 miles away from the heaviest rain in a thunderstorm. The lightning from distant thunderstorms can be seen up to a 100-miles away. But thunder can only be heard less than 15 miles in a quiet rural setting and under 5 miles in a noisy city. A point in the PLA represents the center of one or more concentric circles. 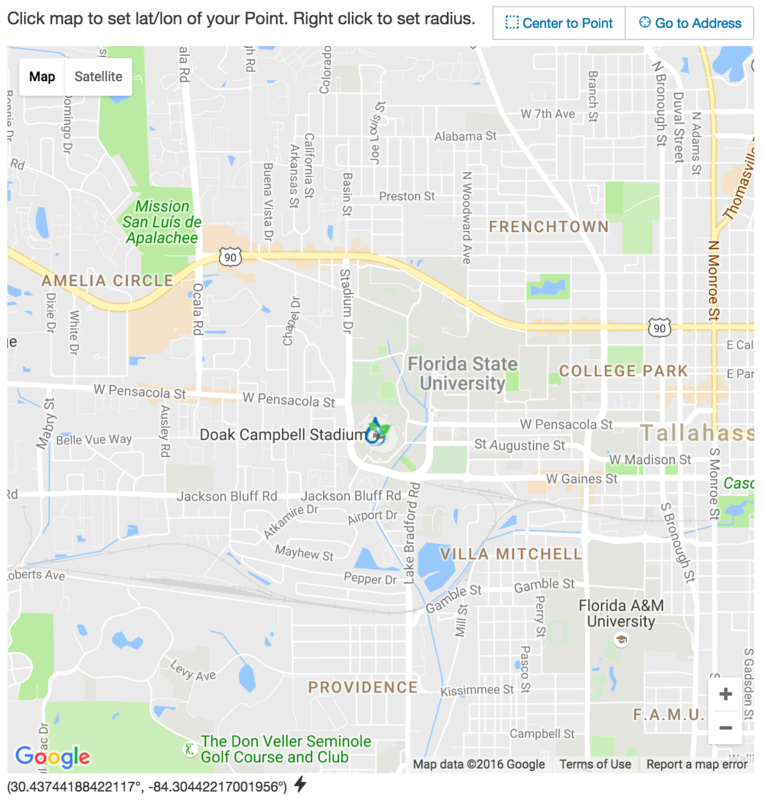 To create a Point, click the New Location link. Once you create the Point, a Google Maps interface will appear. Move the WeatherSTEM icon to the point which will represent the geographic center of your circles associated with the Point. To add a Circle, Right click (or Control-click) the desired distance from the center of the circle. To resize a Circle, use one of its four resize handles or click the number indicating the circle's radius and statically assign a value. You can add as many concentric circles as you like to a Points. 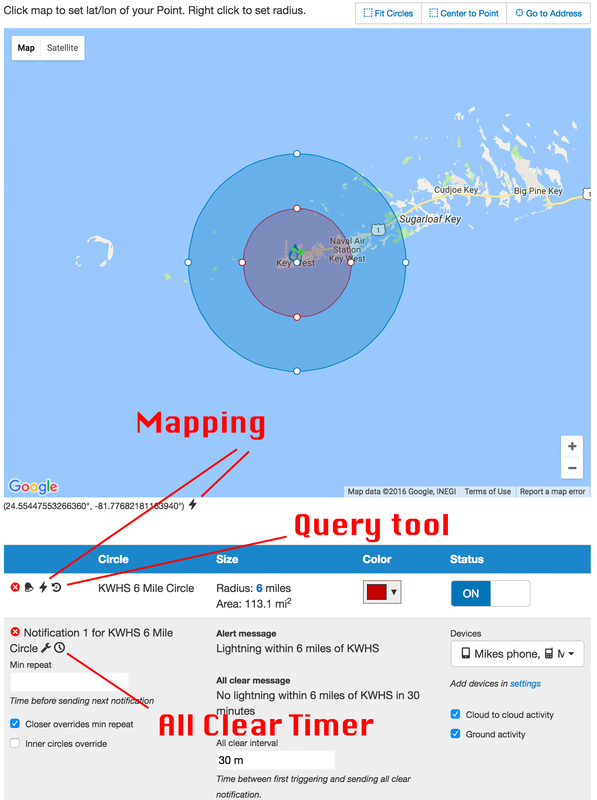 An Area represents a series of polygon coordinates and lets you specify notifications that should occur when lightning occurs within the perimeter of the polygon. 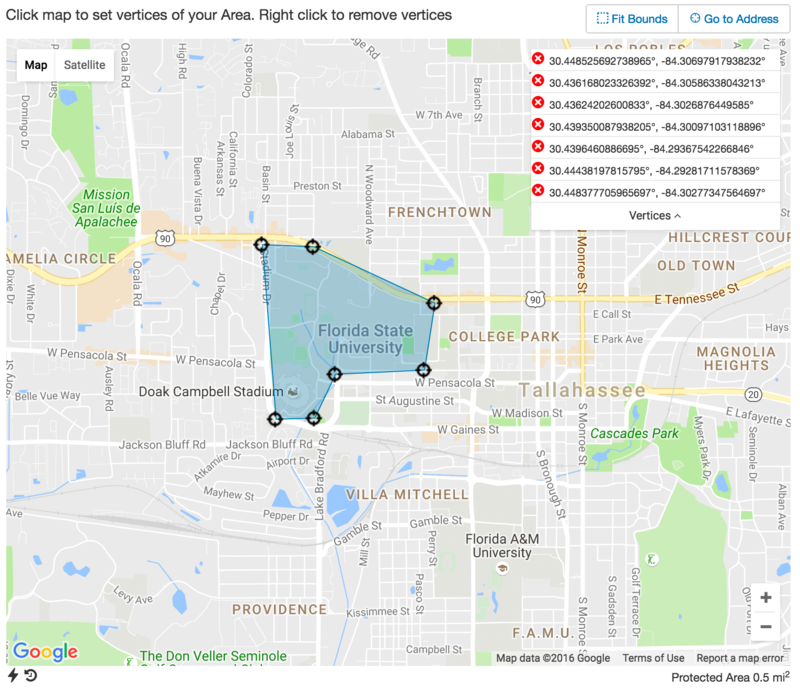 To create an Area, click the New Location link. Click the map to add vertices to the Area. To add a Notification to a Circle, click the bell icon. To add a Notification to an Area, click the Add Notification button. In order for Notifications to work, the Status needs to be On. The Devices drop-down lets you specify which of your devices the notifications you set up should be delivered to. You can add as many notifications as you wish per Circle or Area. A device is a location where a notification can be delivered. They are set up in the Custom Notifications portion of the WeatherSTEM platform. 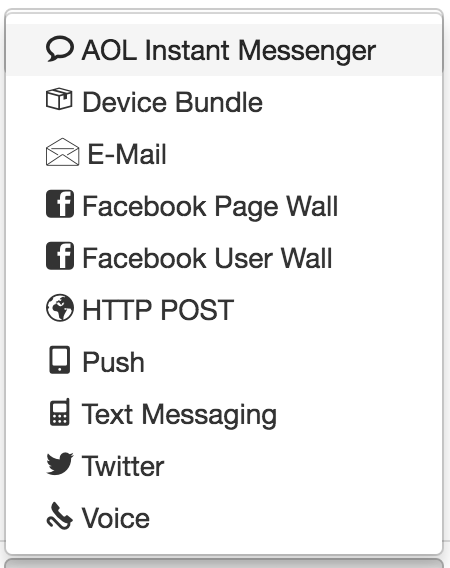 The Dashboard feature summarizes all the notifications that have been dispatched to any of your devices. If you have any questions about the Practical Lightning Assistant or if you'd like a demonstration, please send an e-mail to support@weatherstem.com.